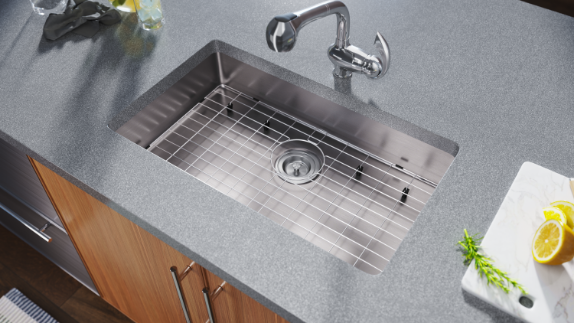 Undermount stainless steel kitchen sinks are installed below the countertop; secured in place with clips and a silicon-based adhesive. 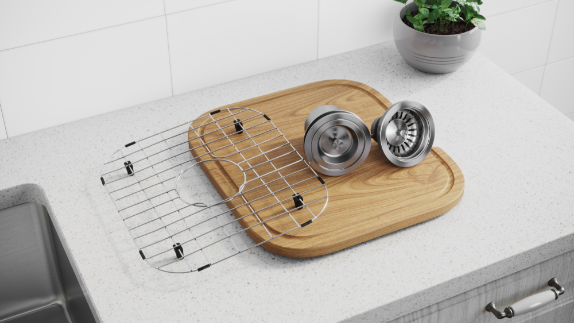 This installation method is most popular with counters of granite, marble, or other stone materials because the edge of the countertop at the opening remains visible. 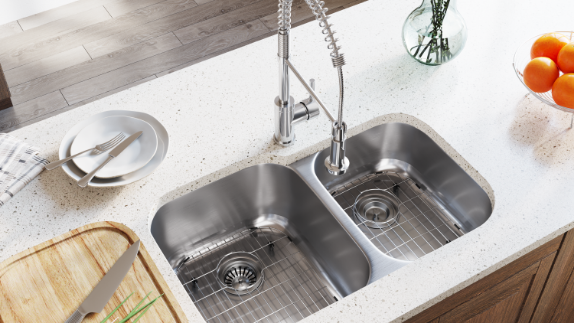 Not only are undermount sinks considered aesthetically pleasing, they are also hygienic options because the rimless installation of under the counter kitchen sinks allows remnant water and food debris to be swept directly into the sink. 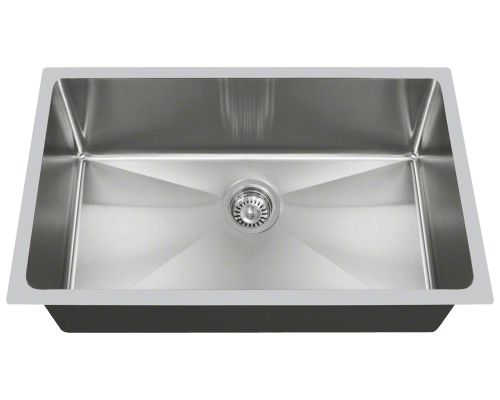 MR Direct stainless steel undermount kitchen sinks are made to last. 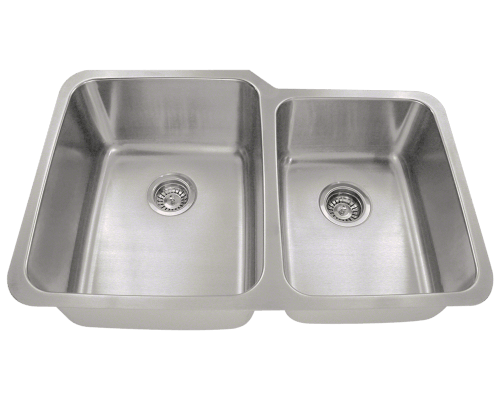 Depending on the model chosen, our stainless steel sinks can be as thin as 24 gauge, or as hefty as an industrial-strength 14 gauge. 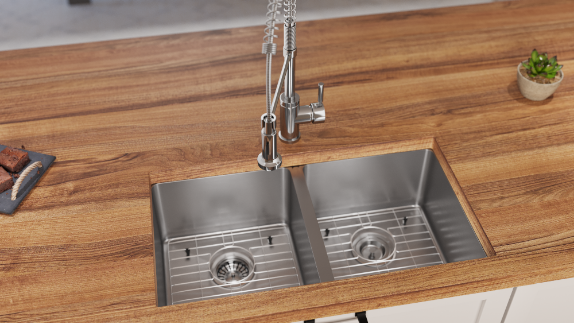 Only steel in the 300 series is used, and almost all models are made of the finest quality 304 grade. 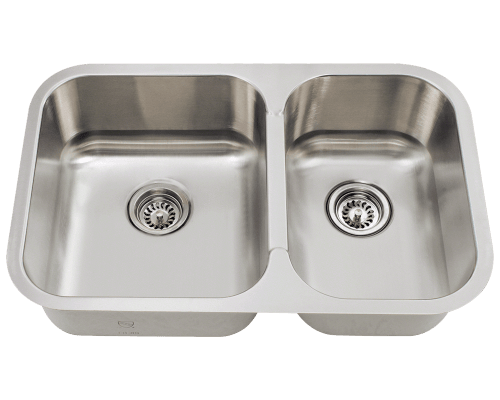 Our stainless steel undermount sinks are insulated and quiet. A brushed-satin appearance adds beauty and reduces the visibility of any minor scratches. Cleaning is as easy as a weekly application of a gently abrasive cleanser with a soft sponge or cloth, followed by rinsing and drying. 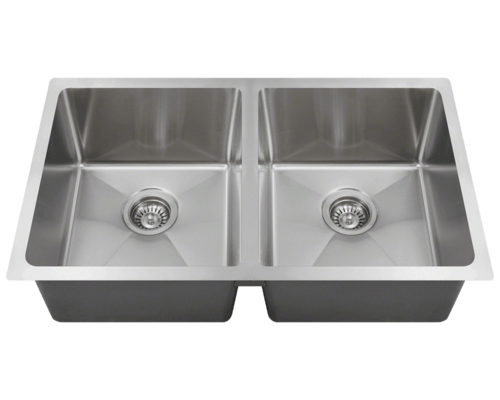 To avoid hard water spots do a daily rinse down and dry after each use. MR Direct does not recommend using harsh cleansers as the added chemicals in many products can ruin the luster of the metal.